Genuine OEM Sharp ARSC1 Staples. (3/pk) They are designed to work in the Sharp Most Models printer/copier(s). 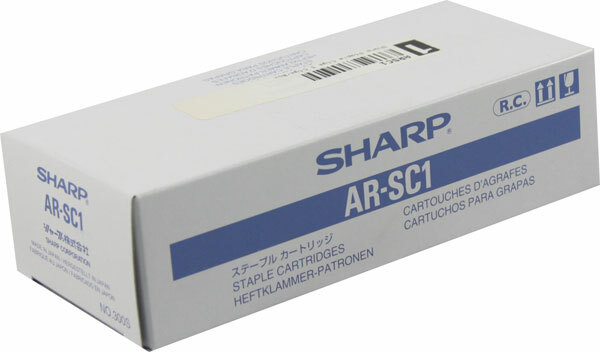 Genuine Sharp (SFSC11) SD-2260 SF-2275 4085 AR-280 285 405 Staple Cartridge (5 000 Staples/Ctg 3 Ctgs/Box).